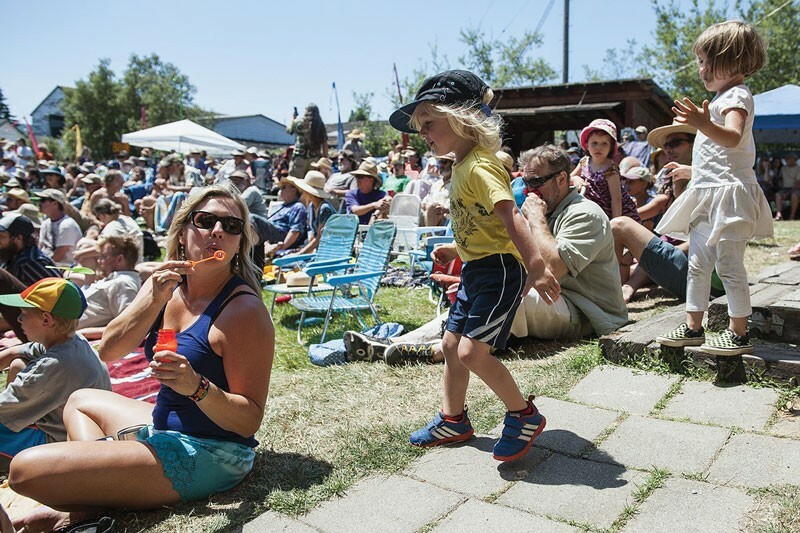 The 38th annual Humboldt Folklife Festival, July 9-16, is a week-long celebration of local live music against the backdrop of beautiful Blue Lake. Officially part of Dell'Arte's Mad River Festival and presented by the Humboldt Folklife Society, the event strings together an assemblage of the area's finest folk, bluegrass and country musicians for nightly performances, two all-day festivals and a high-stepping barn dance. The fun starts Saturday, July 9 at Mad River Brewing Company with the Festival Kick-off party featuring live music by the Bayou Swamis and The Trouble, 6 p.m. (free). On Sunday, gather the family for all-day fun during Annie & Mary Day at Perigot Park from noon to 5 p.m. (free). Monday's Kids' Carnival takes place under the Dell'Arte Big Top Tent starting at 6 p.m. (free for kids 12 and under). Evening musical performances hosted by Dell'Arte fill out the week starting with Songwriters Night on Tuesday, July 12 at the Carlo Theatre at 7:30 p.m. ($8, $6 members), Country Night on Wednesday, July 13 in the Rooney Amphitheatre at 6 p.m. ($10, free for kids under 12), and Bluegrass Night on Thursday, July 14 at the Rooney Amphitheatre at 6 p.m. ($10, free kids under 12). Things get swingin' at the Barn Dance Friday, July 15 at Arcata Veteran's Hall at 7 p.m. ($7), and wind up with the All Day Free Festival on Saturday, July 16 at Dell'Arte boasts two stages of music, workshops, a kid's activity tent, food and so much fun in the sun. And, if you find you still haven't had your fill, there's more live music every night at 9 p.m. at the Logger Bar (free). Whew. Put a folk it in it.